Relax under the shade of the black Caribbean 10ft Square Cantilever Umbrella; it has a sleek design that looks good and is easy to use. 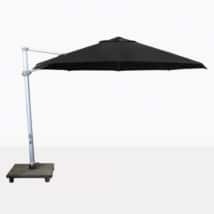 The Caribbean 10ft Square Cantilever Umbrella can provide ample coverage for your outdoor seating area. 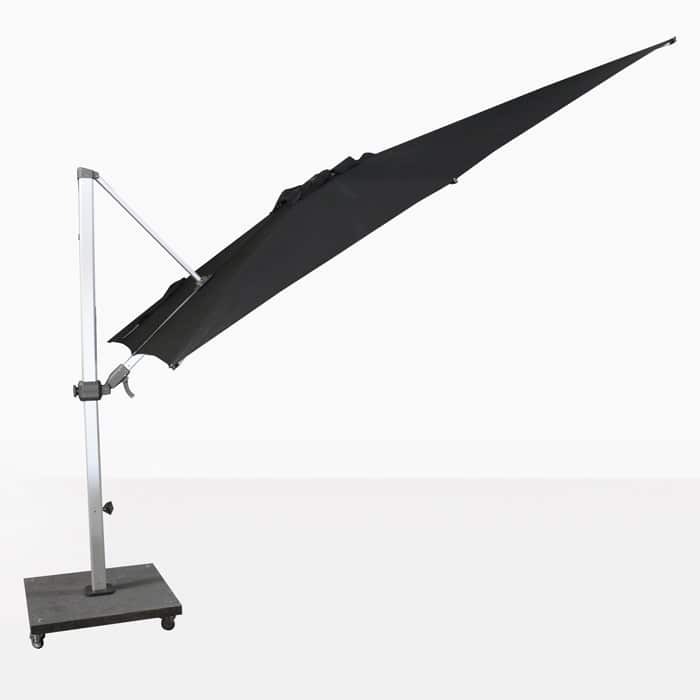 It has several positions that help you block the sun from different angles. It can be used in the horizontal position, angle up, angle left or angle right. These options allow you follow the sun and stay in the cool shade. 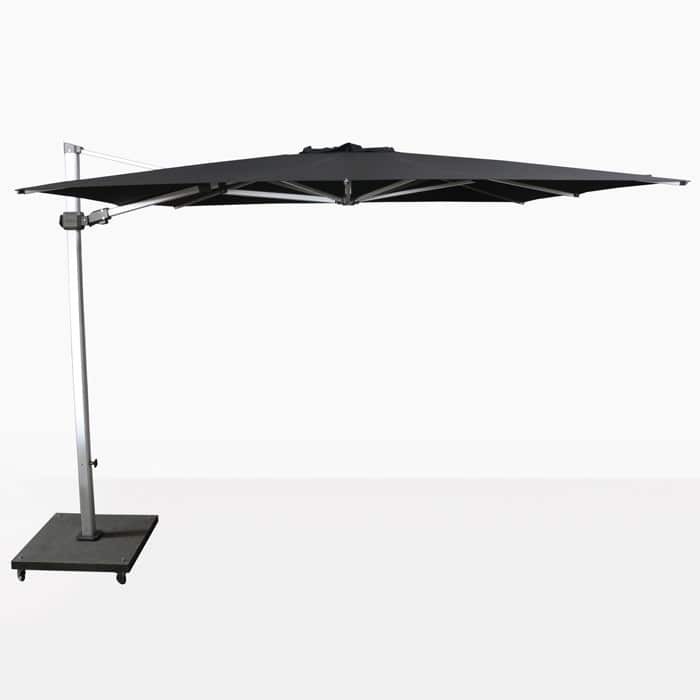 The overall height of the Black Caribbean Square Cantilever Umbrella from ground to the top of the canopy is 98”, this includes the height of the base. 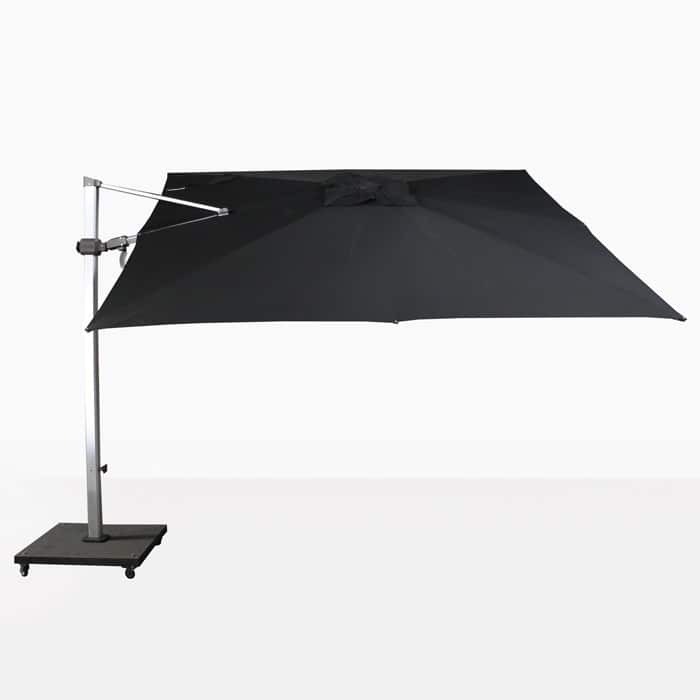 The mechanism for the Caribbean 10ft Square Cantilever Umbrella is easy to use and operate. 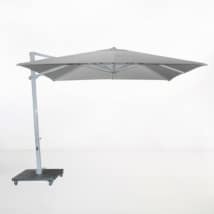 You can completely close the outdoor umbrella and use the Velcro tie that is attached to the canopy; this keeps it secure. The Caribbean Cantilever Umbrella is made with Sunbrella® fabric and has an aluminum frame. This umbrella is available in 3 colors; black, grey and taupe. The granite base with wheels is included in the price as shown. 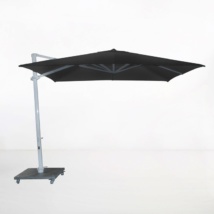 For more information about this cantilever umbrella, call us today! Canopy 10' diam., Height 98", Mast 2.5" x 3.0" diam. 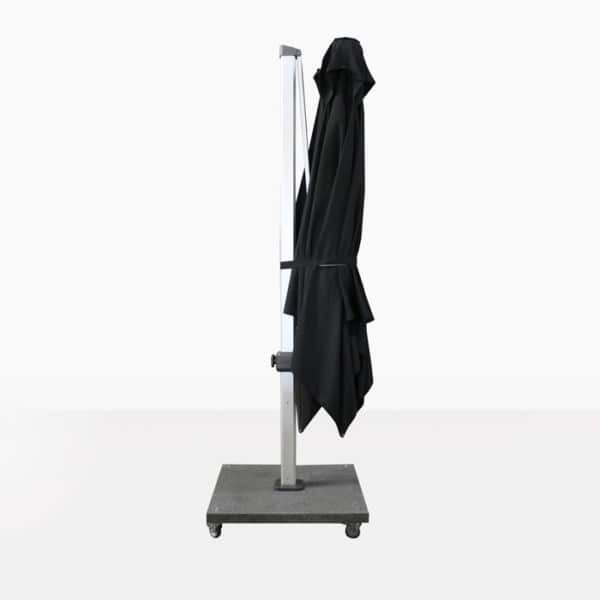 Canopy 3.0m diam., Height 247cm, Mast 6.3cm x 7.6cm diam.